Very long blooming selection with large 1½" terminal clusters of lavender-blue flowers, glossy dark green narrow foliage forms dense clumps and remains attractive all season, foliage turns yellow in fall and dried reddish flower stems provide additional interest into winter, drought tolerant. Small clumping perennial for the sunny border with flower clusters on tall stems. Prefers good loamy well-drained soil. Very drought tolerant. 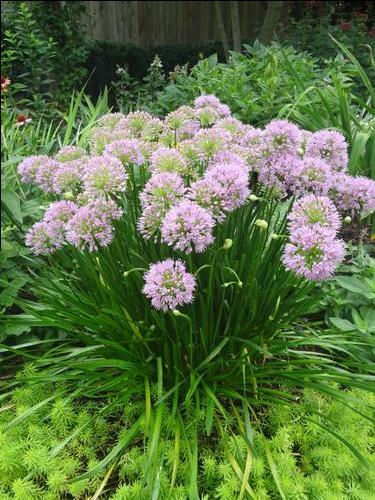 Alliums can't be shipped to AK, GA, ID, NV or WA.